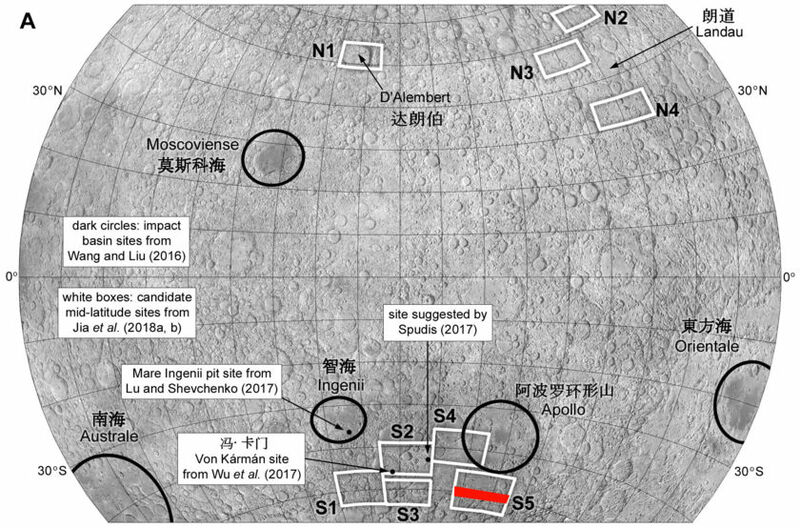 Chang’e-4 will target the South Pole-Aitken (SPA) basin on the lunar far side. A landing in the SPA basin is one of lunar researchers’ top priorities, because it’s the oldest lunar basin and may contain material on its floor that came from the lunar mantle. Being the first-ever landing on the farside, the mission is likely to gain a lot of attention and bring prestige to China’s space program, if all goes according to plan. 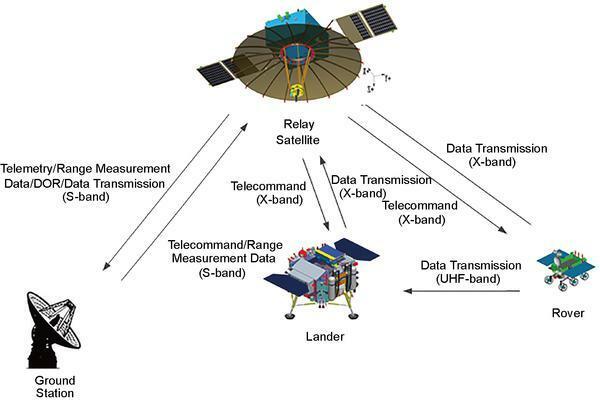 Relay communication link profile between the Chang’e 4 relay satellite Queqiao, the Earth ground station, and the lunar lander and rover. 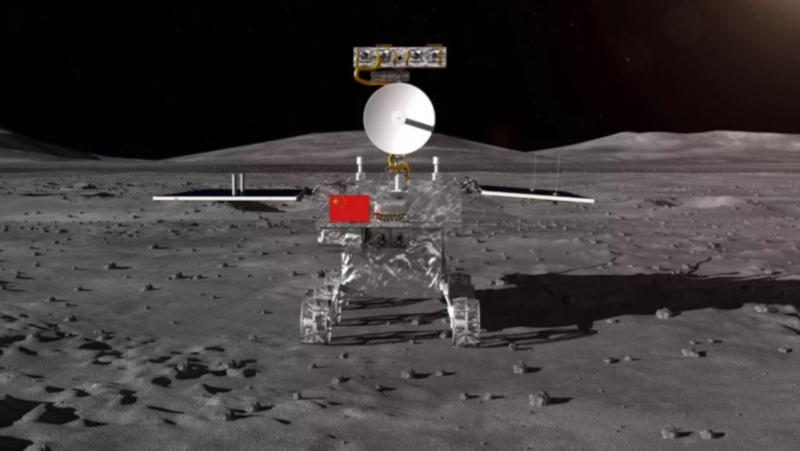 A render of the Chang’e-4 rover. The red area indicates coordinates (48.5° S – 51.5° S, 144° W – 162° W) that were given in the Chang’e-4 mission preview video released on Wednesday. However, we cannot be certain that this is the selected final landing area, as an explicit statement on the landing site was not given. And, as Phil noted in an email, some of the footage in the video is of Saturn’s moon Tethys rather than the Moon, casting a touch of doubt on accuracy of the rendering. So, we may have to wait until closer to launch to find out where exactly Chang’e-4 will attempt to land.